We are back in Montreal after a three-week sound art expedition through Lisbon, Barcelona, and Marseille with Sound Development City. During our trip we had two performances and made some field recordings along the way. The first performance was in the Mãe D’Água Lisboa, a beautiful 18th century cistern with ≈ 10 seconds reverberation. The Mãe D’Água is located in the Rato neighbourhood of Lisbon. 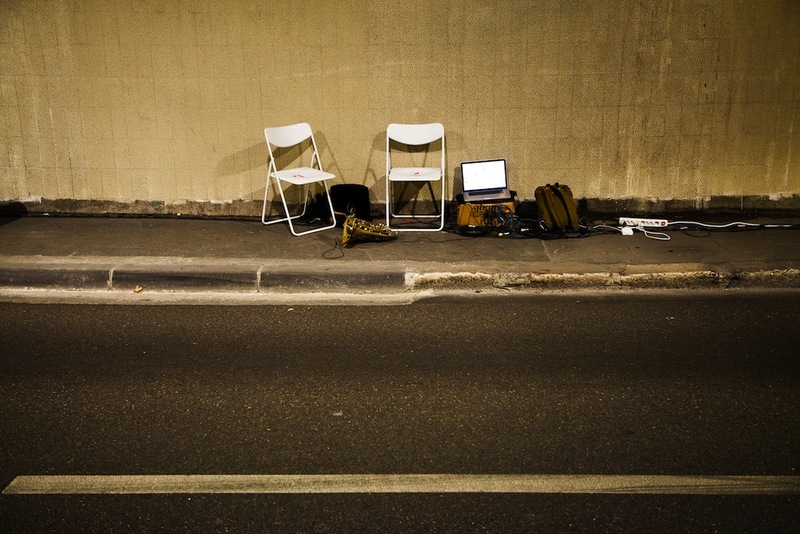 The second performance was in le Tunnel Bénédit-Jobin, an underpass that runs beneath the railway leading to Marseille’s main rail station, Gare Saint-Charles. The tunnel is located in the Belle de Mai neighbourhood of Marseille. Both of these performances have been added to the Works section of our website. During our trip we captured field recordings to use in our performances while exploring Lisbon, Barcelona, and Marseille. These recordings can be browsed on a sound map that we set up. We will continue to contribute to this map during our future travels.